We are pleased to announce that we have finally moved back into our 193 Church Road offices. Following the fire which occurred in March 2018, extensive refurbishment works were carried out over the following months whilst we were in temporary premises a few doors along the road. We are now settling back into our ‘new look’ offices. Some photos to follow shortly. 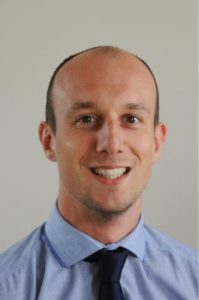 Mike Mitchell, one of our Property Managers, has become an Associate of the Institute of Residential Property Management (IRPM). The IRPM was launched in 2002 as a means of delivering a portable professional qualification in residential property management, available to anyone working in the sector and accepted by all those operating within it. This qualification is a great step in the progression of Mike’s career. Congratulations to Harpreet Singh, one of our Property Managers, on passing his IRPM Associate exam. The IRPM (Institute of Residential Property Management) was launched in 2002 as a means of delivering a portable professional qualification in residential property management, available to anyone working in the sector and accepted by all those operating within it. This qualification means that Harpreet is an Associate of the IRPM which is a great step in the progression of his career. One of the new appointments which our Senior Partner has received under Section 24 LTA 1987 is this stunning Grade II* former country manor house set in the rural West Sussex countryside. The property was converted into 12 self-contained residential flats and the estate boasts approximately 15 acres of communal gardens along with Freehold bungalows and lodges. We are delighted to help assist in now effectively managing this building and estate. The Building Regulations 2000 (also known as building control regulations) – which requires all home owners to comply with building control requirements, when undertaking any alterations to their property. The Regulatory (Reform Fire) Safety Order 2005 – which requires lessee’s to cooperate and coordinate with Plymouth Community Homes to ensure the risk from fire is reduced as far as possible. 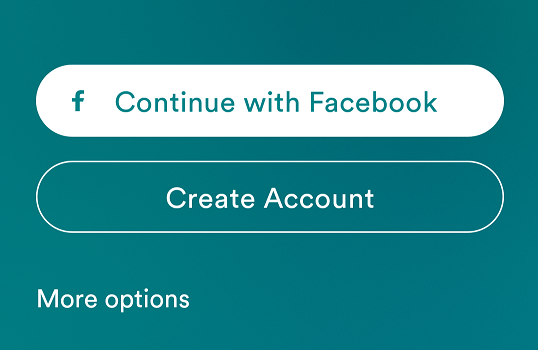 SO HOW WILL THIS AFFECT ME? • To stop a fire inside a flat, spreading to the communal parts and preventing residents from escaping via the corridor or staircase. • And to stop a fire in the communal areas of a block of flats, spreading into a flat, where residents may be sheltering until the fire service arrives. As most of Jacksons’ blocks of flats operate a “stay put policy” it is especially important that all flat entrance doors are able to prevent a fire spreading throughout the building. Replacement of flat entrance doors are categorised as controlled work under the Building Regulations 2000. This means that anyone who wishes to change their flat entrance door (or any other door between their flat and a communal area i.e. a secondary means of escape door), will need to obtain permission from the building control department on the local council in addition to seeking the landlords consent and ensuring the new door, meets current standards. I inherited my door when I purchased the property from a previous leaseholder, do I need to do anything? Yes – Over time legal requirements and fire safety standards have changed, as such a door installed when the building was constructed or converted prior to 2000 will now not meet the necessary standard, so you may need to upgrade some elements or replace your door to ensure the flat door meets current standards. How can I check if my door meets the current standards? If you inherited your door from a previous owner, check with your solicitor who should have confirmed if any alterations had been undertaken to the property and attained copies of any building control consents attained for alterations undertaken, this should include information regarding any replacement of the flat door. If you have changed your door, either the supplier or builder who installed your door should be able to confirm if the door installed was a fire doorset and provide you with a certificate confirming this. Tap / knock your door, does it sound hollow? Look inside your letterbox, does the door look like it’s made of solid wood? – Fire doors have to be of solid timber construction. Measure the width of the door (the thin edge) – Fire doors must be a minimum of 44mm (4.4cm) in thickness. If your door has panelled sections and the thickness of these timber panels is less than 44 mm in thicknesses (i.e. they are thinner than the surrounding parts of the door) it is unlikely that your door is a fire door. If your door has a glazed panel(s) within it, the glass should either be Georgian wired or have a special fire resistant glazing fitted (this will be indicated by an etched mark ‘BS476:22’). If the glazing does not have either, it’s unlikely that the door is a fire door. Is there a 25mm door stop fitted around the door frame which the door closes too? Or is an intumescent or smoke seal (or a combination) fitted? Is the door self closing? i.e. when you let it go, it will shut itself. Fire doors are required to be fitted with either an overhead door closer or a jamb closer. UPVC doors are not currently accepted as fire doors. 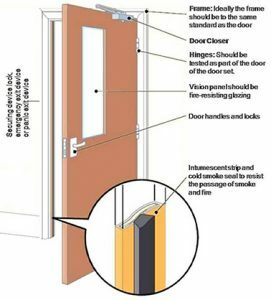 If your door meets all of the above criteria it is likely that it meets the standard and will perform effectively in a fire. Can I upgrade my current door rather than replace it to meet the standard? This will depend on the construction of the door, if a door isn’t of solid construction; of the correct thickness or fitted with the correct glazing, it won’t be possible to upgrade it. In some cases the door itself may be adequate and only minor improvements such as changing ironmongery or fitting a self-closing device may be required. Please contact Jacksons if you are unsure and would like further assistance and advice or would like to have your door assessed. Where upgrading of an existing door is undertaken, a valid fire test report or assessment report by a suitably qualified person must be provided by the lessee on completion of works. Where this is not provided, building control and the Landlord will not be able to accept the door and may require that it is replaced with a new doorset. I want to replace my front door, what standard do I need to achieve? All new fire door sets to flats are to be to FD30s standard in accordance with BS476: Part 22 1987 or BS EN 1634-1 2000. We also recommend new flat doors meet “security by design” standards. A test certificate for all replacement doors should be provided to the homeowner by the contractor supplying/ fitting the door confirming that the door set meets this standard. Alternatively, fire door sets should be marked in accordance with TRADA’s Q-Mark Scheme or BWF’s Certifire Scheme. How can I find a competent builder to install a new door for me? Like flat entrance doors, certain doors inside your flat i.e. the kitchen door, or if you live in a maisonette all the doors between a room and your staircase, are also fire doors. Their purpose is to prevent a fire from spreading from the room it started within, to another room and to stop the fire and smoke preventing you from leaving your flat. As such if you want to remove or replace any internal doors or alter the layout of your flat in any way, you must attain approval from building control and the Landlord, so we can ensure that the work you want to carry out won’t prevent you being able to escape if a fire starts in your home. If the work you plan to do includes any work which will involve knocking or drilling a hole in any wall, floor or ceiling i.e. to install a flue or run any cabling, we also need to ensure that the integrity of the wall, floor or ceiling is reinstated. So in the event of a fire in your flat, your neighbours or the communal area, the fire and smoke aren’t able to pass through the hole into another part of the building. In flats located at basement, ground and 1st floor level, or in flats accessed from communal walkways/ balconies the windows from living areas and bedrooms are designed to be escape windows, to enable residents to use the windows to escape through, if there is a fire in their home. As such if you would like to replace your windows, it will be necessary for the windows to meet the requirements of the Building Regulations in relation to their design and the size of the opening required. The landlord cannot, where a window is an escape window, provide consent for security grilles or shutters to be installed, as the window must be maintained unobstructed to enable escape. 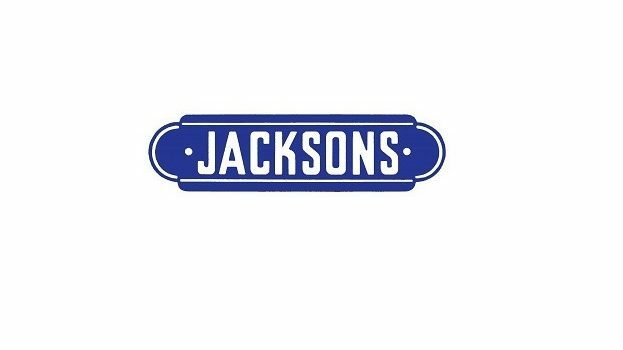 Jacksons work closely with the local fire authority and supports the Fire Kills Campaign; we strongly recommend that all home owners install smoke detection within their homes. If you don’t already have smoke detection, get some. We would recommend that you fit what are called hardwired independent smoke detectors, which have a life span of 10 years. I have replaced my door / carried out alterations to my flat and I didn’t obtain building control approval or Landlords consent, what can I do? If you believe that your door meets the necessary standard, you can apply for retrospective consent for the alteration from both building control and the landlord. Similarly if you have undertaken alterations to your flat without attaining consent, you can also apply for retrospective consent for the alteration, however you may be required to reinstate/ alter the layout or features of the flat, if the work carried out does not comply with Building Regulation requirements. In addition there will be charges for this consent. If you do not obtain the necessary consents, you may find it difficult to sell your property in the future as solicitors now require more detailed information regarding fire protection within blocks of flats as part of the conveyancing process. Jacksons are carrying out a review of fire doors across our property portfolio as part of our fire risk assessment programme and will be writing to individual leaseholders where we identify a door that we deem not to achieve the necessary standard. If you are aware that your door does not meet the required standard we strongly advise that you take the necessary steps to replace it, to ensure your families safety and the safety of other residents of the building, should a fire occur. Where we identify such doors we will be asking for the leaseholder to supply certification regarding the door to confirm it meets the necessary standard or a copy of the building control consent for its replacement, where neither is available we will be formally asking you to replace your door. You should apply for building control and the landlords consent to undertake this replacement. Please be assured, no action will be taken against leaseholders who wish to take positive action to remedy failures in fire protection measures. In circumstances where a leaseholder is unwilling to take remedial action, to ensure the safety of other residents of the block, Jacksons will refer the matter to the relevant enforcement authority for them to consider formal legal action. Jacksons is part of the Propertymark Client Money Protection scheme.